The investigate support of the U.S. Department of Transportation has establish that for passengers airborne out of the Salt Lake City International Airport, airfares augmented by 12.1 percent in the first sector of this year compared with the first part of last year. The standard charge from January to March in Salt Lake was $338.83, up from $302.39 in the first part of 2009, according to Bureau of Transportation Statistics data unconfined Wednesday. Salt Lake fares were advanced than the national regular of $328. National fares augmented during the first quarter, too, rising 4.7 percent from the preceding year. The fares are not familiar for inflation. Nationally, from March 2009 to March 2010, prices enlarged by 2.3 percent. That means that airfares amplified at a greater pace than price rises. 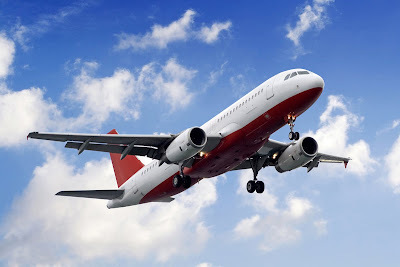 The average tariff estimate considers domestic flights, both round-trip and one way, as well as taxes and fees such as airport usage fees, but not baggage fees. The bureau does not issue in tickets bought with frequent-flier benefits or free tickets given by airlines. Some extremely high fares are also disqualified from the averages.